Engineered to seal a 96 deep-well microplate (1 mL) tightly. Ethylene vinyl acetate (EVA) CAPMAT acts as a barrier to minimize moisture exchange. 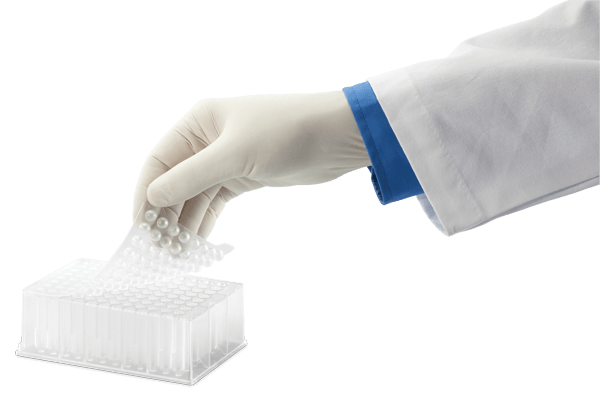 CAPMATs are alphanumerically labeled like the microplates, making sample identification easy. This CAPMAT is in nonsterile format.